Jig welded from high quality 7/8" OD by .083 wall tubing, it is designed to accommodate up to and including 17.5" OD mounted wheels. Complete with engine mounting plate, front axle holes and rear mounting tabs. No additional welding is required. Maximum engine height of 13-1/2". 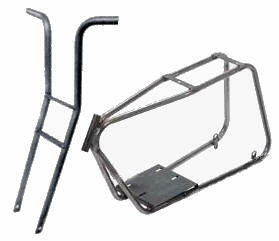 Wheelbase - 36". 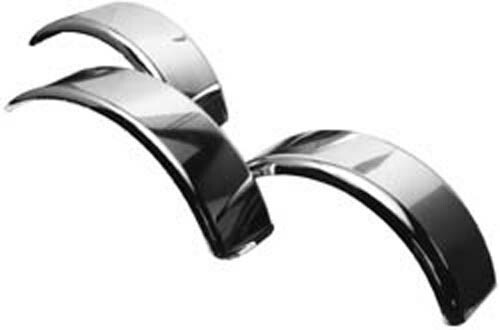 Handlebar Width - 21". The steel tubing making up our minibike fork is now bent forward at a 30 degree angle for improved steering radius and handling for both kids and adults. 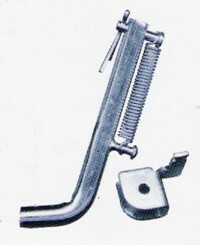 This kickstand can be used with the minibike frame shown above. 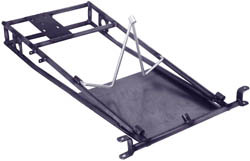 It comes with a weld on bracket and kickstand w/spring. Approximately five inches tall. Deep drawn steel fender made from cold rolled steel. 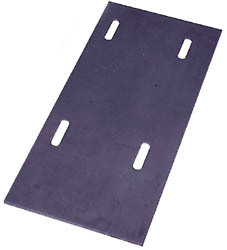 Made of heavy gauge steel, with slotted mounting holes. Universal applications for mounting spindles, jackshafts, live axles, throttle & brake controls, pitman arms and more. Weld in place. Priced and sold in pairs. To shock mount engines. 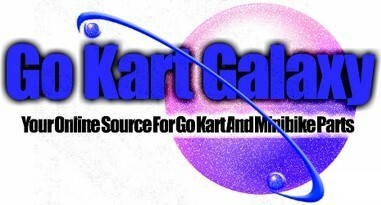 Also for fairing mounting. 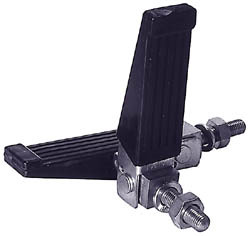 Sturdy rubber tread folding foot pegs. 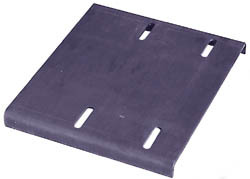 With long mounting studs. Folds when not in use. Uses 10mm bolts. Mount using 2 #8162 clamps.